[Are you interested to pass the certification exam? In SEP 2015, I took the ISTQB® Agile Tester Extension certification exam and gladly passed it. I searched on the internet if someone has shared his experience but there wasn’t any post that describes all the steps but I did receive helping comments to achieve this certification. OBS! In this post, I have discussed below topics. This post might be long but puts everything in one place. Is Agile Tester Extension for you? 1. What is ISTQB® Agile Tester Extension? There is no continuation of the same certification but you can choose to have Advanced CTAL certifications. IMPORTANT: You need to have ISTQB® Foundation Certificate to be eligible to take the Agile Tester Foundation Extension certification exam. You are required to show the certificate to invigilator on exam day. Agile Software Development: This part focuses on fundamentals of agile software development and aspects of agile approaches. Fundamental Agile Testing Principles, Practices, and Processes: This part discusses more about agile way of working with respect to testing. It elaborates the differences between testing in traditional and Agile approaches, how to report the status of testing in agile projects and finally what is the role and skill of a testing which is important in an agile team. Agile Testing Methods, Techniques, and Tools: The last part is more interesting as it discusses the agile testing in detail with different aspects. It talks about agile testing methods, how to assess quality risks and estimating the test effort, test techniques which can be used in an agile project and finally the tools that can help in agile projects. IMPORTANT: ISTQB® provides the Agile Tester Extension Syllabus to national examination bodies for them to accredit training providers and also to derive exam questions in local languages. Thus, it is important that you still understand and follow the syllabus as it is also used by training providers to prepare their own courseware. To work effectively in an Agile project and team, it is important for a tester to gain necessary skills to achieve this goal. The Agile Tester Extension helps to learn the fundamental agile testing principles, practices, and processes. Besides following are the benefits which are explained by ISTQB® to build more understanding of its purpose. Collaborate with a cross-functional Agile team being familiar with principles and basic practices of Agile software development. 5. Is ISTQB® Agile Tester Extension for you? I have been working with Agile methodologies, especially in Scrum and Kanban for some time now. With this knowledge in hand, I was excited to go for Agile Tester certification. Even if you don’t plan to go for an exam, the study material will definitely improve your knowledge in terms of step by step and overall picture of testing in a project. Since this is relatively a new certification introduced in May/June 2014. There is no defined study material or books. But here is what I read to build more my Agile Testing concepts. Agile Tester Extension Syllabus Version:2014: Very important to read it 3-4 times. It will be a fruitful effort and return on investment of your time. 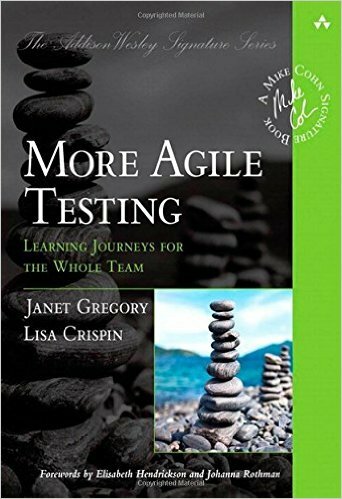 Agile Testing: A Practical Guide for Testers and Agile Teams and More Agile Testing: Learning Journeys for the Whole Team. These two books are really useful. It discusses the details of Testing Quadrant and Testing pyramids. The role of Agile Tester and how quality can be introduced right from development. I highly recommend reading these two books to gain knowledge of Agile Testing even if you don’t want to go for the exam. You can either take the exam via your course training provider or book it separately from ISTQB associated bodies in your country. Since I took the exam in Sweden so I can explain the steps. You can select the language English or Swedish, but it went back to Swedish even though I selected English but don’t worry the information exists in both languages for each field. The certification exam is based on multiple choice questions, If you are a non-native English speaker then you get total 75 minutes (60 mins + Bonus 15 mins). There are total 40 multiple choice questions and to pass the exam you are required to score 65% or above (26 or more points). There is no negative marking and each correct answer scores one point. Here is the distribution of the questions from each chapter. You can find the complete detail of exam structure here. ISQTB has provided a sample exam paper and an answer sheet as well. You can go through them to understand the type of questions you can expect during the exam. I can share my exam experience with you. You “really need” to go through the syllabus 3-4 times and understand its content. Just reading or skimming won’t help because certain question requires good concepts and definitions in mind to answer. Go through and focus on the Learning Objectives (LOs) of each chapter to understand the concept and theory. Chapter 1 and 2 will help you to build understanding but you might need to put more effort to understand chapter 3 as It seems easy but in the exam, the questions became very tricky from this part. Following are the questions that I remember, fresh from memory. There were two questions on the agile manifesto, like which statement is not part of agile values. So in this case you need to memorize the statements, yes you need to. There was a question on Scrum, Kanban and XP practices, it asked which option is not part of XP practice. So you need to have an understanding for that to answer the question. There was a question about reporting the testing status, how it is being done. Benefits of early feedback and retrospective. There were a couple of scenario based questions, ranging from selecting the valid test case to applying the correct testing approach or testing technique. Understand well the role of the tester in an agile team, there were 2-3 questions from this part as well. Be very careful with the time. It goes very fast. I had total 75 mins, so I planned to attempt 10 questions in every 15 mins. It helped me to stay on track and last 15 mins I spent on the question that I could not answer or verify If I wrote the same answer on my answer sheet. There are questions which have more text and will take time to read. The funny thing is all the answer look similar but be very careful, a few options look almost the same but a word might change it. Try to mark your answer on answer sheet directly, (if you prefer, I did that to save time) because during last minutes you won’t have much time or in a hurry, you might do something funny. Once you have gone through the syllabus (3-4 times) and read other books to gain knowledge and build more understanding about Testing in Agile. To assess the exam preparation go through the Learning Objectives (LOs) of each chapter “again” and check if you have understand the concept of LOs. The exam questions are stated from LO perspective and the chapter content explains the theory behind that LO. I am hopeful that if you follow this guide, you can prepare well and pass the exam. Good luck! Thanks for the guidance.Hoping to clear the exam. any questions from istqb sample 40 questions? Yes, it was useful to go through the sample exam questions. If I remember it correctly, there were few questions (similar) from there. Thanks a Lot Khurram mate :). Indeed your plain writing has made the Test appear to be easy and given me confidence to go ahead. Thanks for the comments and Good luck with the exam. Clean & clear post. Thanks for your time. I was in dilemma if this exam would be necessary/helpful in career development before jumping on to Advanced Level exam, pl suggest. The Agile Tester Extension is not mandatory for advance level exams, only the foundation level certification is required. With regard to career development, it might be useful as some companies appreciate ISTQB certifications. 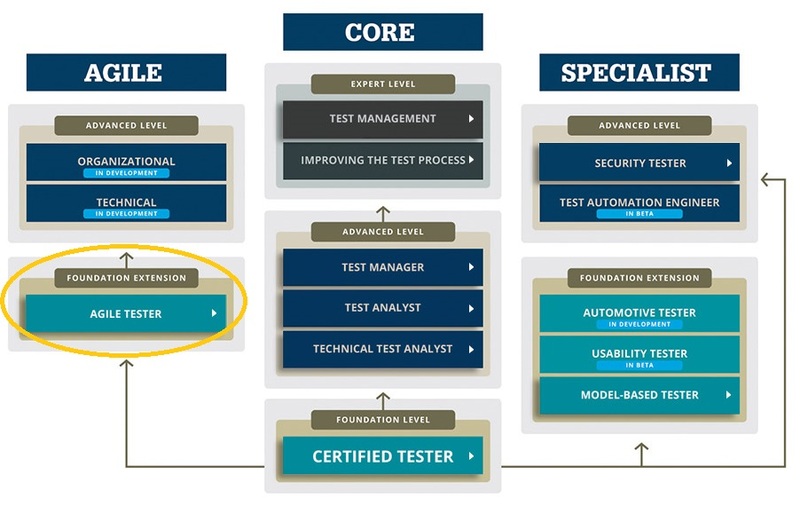 Having an Agile Tester Extension certification is totally a personal choice. But It would be fruitful to have understanding and knowledge of Testing in Agile. You can gain it by going through the syllabus and other two books that I have mentioned in the post. Special thanks for suggestion of study material. Thanks a lot Khurram. I cleared this exam last week appearing in NOIDA, India. This exam follows pen and paper format and results were declared post 2 weeks via email. I read the syllabus 3 times, understanding each and every word. The questions were easy but confusing but everything is covered in syllabus. Many congratulations Nishant. I am glad that this post helped you in achieving your goal. It would be highly appreciated by the forum members if you can let us know sample Questions so that it becomes easy for the candidates appearing for Exams. Also is the Official Syllabus good enough to clear the Exam or we need to study some other books as well.Last but not the least ,can the exam be taken any time or it needs to be taken on a Scheduled Day/time. Thanks for visiting my blog and hope that the information is useful for you. Here is my reply to your comments. ISTQB has already provided sample questions which I have provided a link in post. I think that provides good insight for exam. It depends if one just wants to pass the exam or know more about agile testing. I would suggest to go through the syllabus and the two books that I mentioned. Certification is one thing but having the knowledge to apply is more fun. Please check your local ISTQB organization regarding booking the exam. Good Post. It is really helpful. I am preparing for the exam. Following the same steps as mentioned above. Will let you know the status. Thanks much! Hi, very useful this. Are you aware of any book/s now that cover the syllabus? Or are the ones you mention here still the best option for self study? Last time I looked it seems official book for this syllabus isnt out until April 2017.. I am only aware of the two books and syllabus mentioned in post. There might be a book that further explains the concepts from syllabus. But it was good to understand the books and syllabus to gain knowledge and certification exam. I have this doubt Is there two exams namely “Agile tester foundation” and “Agile tester extension” offered by ISTQB? As far as I know there is only exam and ISTQB Agile Tester is a Foundation Extension. Please refer to ISTQB Certification levels. Thank for your compliment. I think it’s good to study it for 2-3 weeks at minimum. Did you mean the Agile Manifesto Values and/or the values and the 12 Principles ? Thanks for your appreciation. I hope it helped to gain knowledge and pass the certification exam. The questions were from Agile Manifesto, the four value statements. Please also check the learning objectives regarding the number of questions. I have referenced it in the post as well. Very Informational, I am also planning to take this exam. this post is helped me a lot to understand the exam process. Is it 2-3 weeks are sufficient for preparation? How many hours per day I need to plan for study? Good to hear that it has helped you. Yes 2-3 weeks are good enough. Study it as long as you have understood the concepts and can pass the sample exam. I”m planning to answer the exam soon. Reading the books will help you to gain more knowledge of the topics discussed in syllabus. That will be worth putting effort. Reading the syllabus is a must, books as complimentary resources. Check the Bonus tips section to assess the knowledge level for examination. 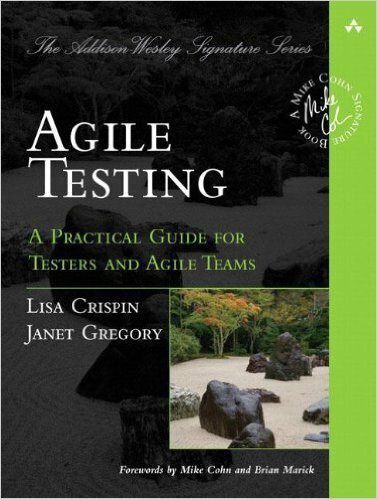 If you can have access to Agile Testing book, that will be great too. Hope you are doing good. This is Poonam here from South Africa. I am planning to write this exam on next month. 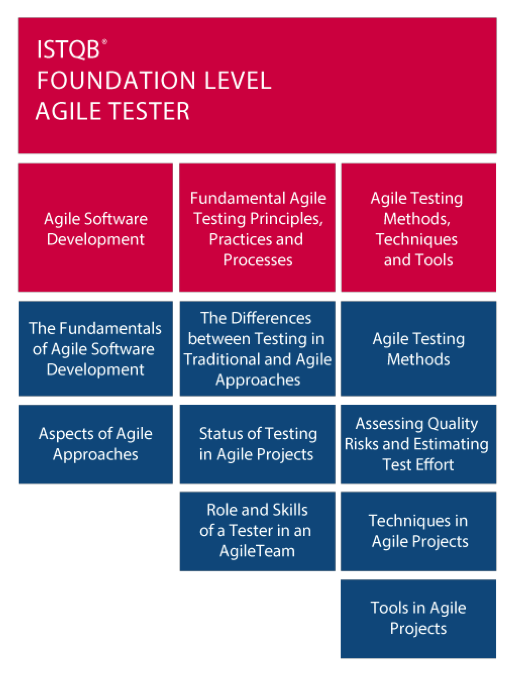 I have not started preparation yet, I am a bit confused that The Foundation Agile Level qualification and agile tester extension both are the same or different. both are the same just wording is different. Thanks for quick reply. Could you please guide me how to prepare for this exam. I have 3 weeks in my hands. I can’t afford to join any classes here. This guide can help prepare both for Agile Tester knowledge and passing the ISTQB certification exam. Besides, I am also offering online Agile Tester study and exam preparation sessions, if you are interested to take. I have my exam booked for this Friday, still struggling to pass sample exams, is there anything else i could do so that i can pass the exam on Friday. Yes, I can help. What have you studied so far? Send me an email via contact page on this website.